Convinced myself to give myself sugar to motivate myself to study more, more, more! 5 days… or is it 6.. till my pharmacy school admission test! Yikes! This is a lemon custard pie with toasted marshmallow topping. I thought the topping looked cute and I think that was the main reason why I bought it. I’m too easy! Hahaha. 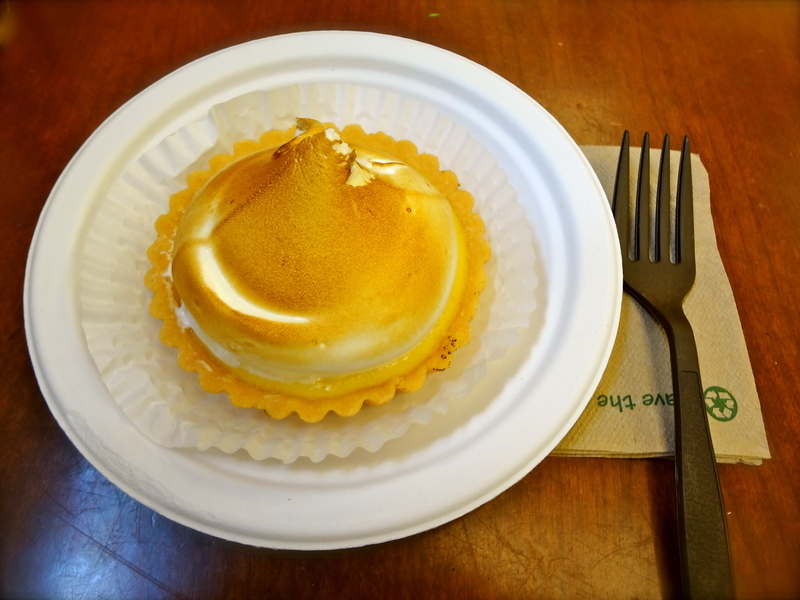 Please share a bite, I love lemon meringue tarts! The topping is made of egg whites and sugar so it’s fat free, so enjoy guilt free! Thanks for sharing!